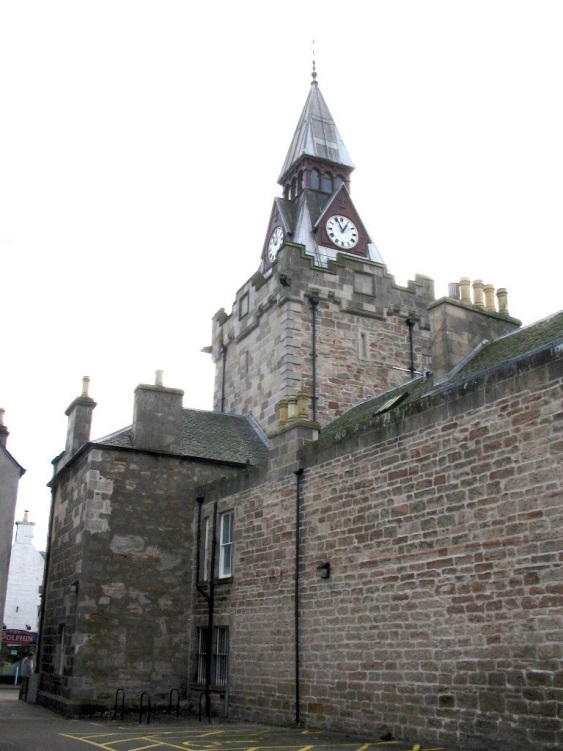 The £809,000 project at the Category B listed Court House involves the renovation of the two-stage steeple, which is in poor condition, as well as internal and external works required. The Service Point and the Council offices will remain operational throughout the 48 week programme, which is anticipated to commence later this month. The works will be project-managed by the Council’s Development and Infrastructure Service. The project has been progressed with assistance from LDN Architects, Fairhurst Engineers, McLeod & Aitken and Safehands Health & Safety Consultants Ltd.
Work to erect scaffolding at Nairn Courthouse is anticipated to start on Sunday 17 February 2019.